In Every Issue: Gallery of Homes Page 28 ... 250+ Listings A publication of High Five Enterprises Inc. Locally Owned - National Exposure New listings 24/7. 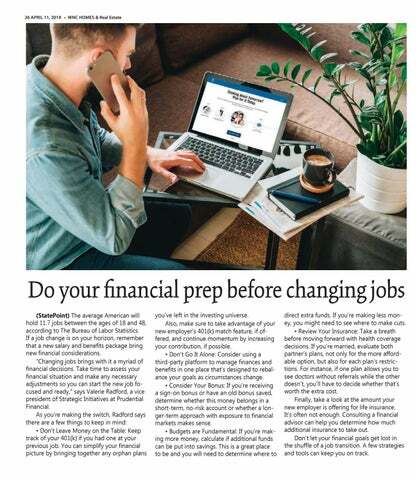 In print, online and mobile friendly. French Broad Crossing and The Preserve at Little Pine are registered trademarks of Preserve Communities Real Estate, LLC. This is not intended to be an offer to sell or solicitation of offers to buy real estate in French Broad Crossing or The Preserve at Little Pine for residents of CT, HI, ID, IL, NY, or PA, or any other jurisdiction where prohibited by law. Find the Right ge Home Mortga Today! Asheville Realty & Associates, Selling Asheville for Over 27 Years! Use one of our buyer agents to purchase one of our featured properties and get a FREE Home Warranty. 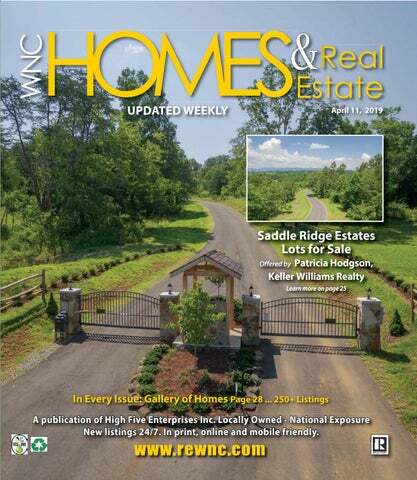 Call 828-258-3737 to view any home in this magazine. Reputations are made every day... either way! And we have been earning ours for 27 years ! If you are serious about real estate then call Bob Ray! Plush Home Staging would like to invite you to our new design studio and retail space. Design services, accessories and accent furniture for your home and vacation rentals. Asheville’s Neigborhood Realtor® FOCUSING ON URBAN, HISTORIC AND GREEN HOMES Our values of community and sustainability guide us in serving our clients. Find us downtown, upstairs from City Bakery! CANDLER! Immaculate well maintained home on 1.34 acres, 3 BR, 3 bath, bonus room, office, den, attached 2-car gar + addâ&#x20AC;&#x2122;l detached 2-car gar w/storage & 2 car carport, updated kitchen, spacious,covered FP & rear screen porch, MLS#3469084, $554,900! CANDLER! 16.8 Beautiful private acres w/2 BR house and addâ&#x20AC;&#x2122;l cabin, HOME WARRANTY, 2-car detached garage, 3 sides of property border Pisgah National Forest, MLS#3443022, $475,000! LEICESTER! 3 BR home on 1.94 beautiful acres w/ must see views, 15 mins from Downtown Asheville, bonus rooms & office, HOME WARRANTY separate living quarters w/great income potential, MLS#3475221, $455,000! FLETCHER! Spacious 5 BR, 3 bath home on 1.5 acres of land, HOME WARRANTY, extensive decking, 2 Rock FPs fenced in yard, fam rm, rec room, tons of room, detached 3-car garage, MLS#3388105, $375,000! NEW LISTING! Canton! 3BR, 2 Bath, neat & clean home on 3.20 acres, 1-car garage, AHS Home Warranty, Covered Deck, Patio & Sunroom, spacious kitchen, MLS#3483285, $320,000! NEW LISTING! West Asheville! 3 BR, 2 bath well maintained home on private .17 acre lot in great location, HOME WARRANTY, stone FP, covered front porch, MLS#3488349, $259,900! WEST ASHEVILLE! Bungalow on corner level .18 acre lot, convenient location, 1 BR, 1 bath w/ room to expand, MLS#3472956, $179,000! WEST ASHEVILLE! One level living on .42 private fenced acres, large detached 2-car gar & workshop plus carport, 2BR, 1 bath, bonus room, covered front porch and large rear deck, MLS#3475290 $168,900! NORTHWEST! Great starter home or income property, partially remodeled, 2 BR, 1 bath on 1 acre level log, wrap around porch, newer roof & furnace, MLS# 3478457, $165,000! LEICESTER! 3.29 Beautiful acres, mostly cleared & level land ready to be subdivided, nice setting w/distant mountain views, MLS#3370240, $129,000! LEICESTER! Top of the mountain, stunning views from this beautiful 10 acres, mature trees, building pad ready for you to build, MLS#3273032, $85,000! SOUTH! .50 acre lot in convenient south Buncombe location, level, MLS#3470229, $47,400! FAIRVIEW! Wooded .96 acre lot, this perfectly private lot would be good for year round living or vacation home, convenient location close to stores & restaurants, MLS#3431165, $29,900! LEICESTER! 5.25 acres, no restrictions, gentle creek, long range mountain views, front & back access available, MLS#3483066, $127,000! MARION! 1.14 acre lot, minutes to Lake James, secluded & wooded, perfect for permanent residence or second home, MLS#3436323 $25,000! Homes from the Low $200â&#x20AC;&#x2122;s -- Including Home site! Minutes from downtown Hendersonville and only a short drive from Lake Lure is Vista at Blacksmith Runâ&#x20AC;&#x201D;an exclusive Western North Carolina mountain property designed for residential development. Blacksmith Runâ&#x20AC;&#x2122;s secluded mountain lifestyle and four-season climate turns an ordinary day into an unforgettable experience. With convenient access to all of Western North Carolinaâ&#x20AC;&#x2122;s treasures, this quiet mountain property was developed for those who appreciate the best that life has to offer. Our on-site Real Estate Discovery Office is open Mon-Sat 10:00am-5:00pm and Sundays from 1:00pm-5:00pm. For more information, please call (828) 685-3818 Directions: From Hendersonville, take HWY 64 East towards Bat Cave/Lake Lure. Cross over I-26 and continue approx. 5.5 miles to gated entrance on the Left. 3D virtual tour coming soon. Seller offering a $5,000 buyer incentive! 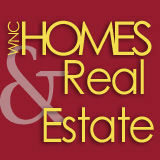 SEE OUR HOME LISTINGS IN THE GALLERY OF HOMES SECTION! 40 acres, Barn and House WILD HAVEN FARM: Water, Water Everywhere! Originates from the Ridges you own. Wonderful Ranch home, 3 bedrooms 3.5 baths, workshop in basement and large RV Garage. Can be off the grid with Solar. Gorgeous Meadow and old Barn. MLS 3422473 . www.rewnc.net/553850 PRICE IMPROVED!! We are Connestee Fall’s Premier Real Estate Firm specializing in the residential mountain community of Connestee Falls. We have been the leading Real Estate firm in the Connestee Falls area for 30+ years because we know the market and can help you find your dream home here in Connestee Falls or anywhere in Transylvania County. Give us a call today! Located in the Reems Creek Golf Community Weaverville NC This peaceful lot is situated on a quiet cul-de-sac with the golf course just around the corner. Other amenities include natural gas, city water, tennis courts, and a pool. Find your home at Connestee Falls, a 4,000 acre gated community situated in the foothills of the Blue Ridge Mountains about 7 miles south of Brevard. • Over 1350 homes • A Wellness Center • 4 Lakes • 14+ Miles of Hiking Trails • 4 Tennis & Pickle Ball Courts • Large Heated Swimming Pool • 18-hole Championship George Cobb Golf Course • Homes from the $100s up to 1 Million • Beautiful Building Sites Still Available! TEXT the â&#x20AC;&#x153;CODEâ&#x20AC;? to 398-5702 for more info and photos! ( adjustments so you can start the new job focused and ready,â&#x20AC;? says Valerie Radford, a vice 	" "
)  " " "  # *  "
MARS HILL 33 Silver Fox Lane 3 BR/3/1 BA/2528SF www.rewnc.net/541363 Connie Carver 828-206-4040 wolfgirl1360@aol.com Wolf Mountain Realty, Inc.
MARS HILL 76 Eagles Nest Court 2 BR/2 BA/1200SF www.rewnc.net/579385 Connie Carver 828-206-4040 wolfgirl1360@aol.com Wolf Mountain Realty, Inc.
BURNSVILLE 597 Sweetwater Ridge 3 BR/2 BA/2160SF www.rewnc.net/528211 Mary Blevins 828-675-5100 mary@dreammtnrealty.com Dream Mountain Realty, Inc. SPRUCE PINE 3244 Hwy 19E Road 5 BR/3 BA/2638SF www.rewnc.net/623793 Mary Blevins 828-675-5100 mary@dreammtnrealty.com Dream Mountain Realty, Inc.
MARS HILL 560 Spring Valley Drive 2 BR/2 BA/1905SF www.rewnc.net/597620 Connie Carver 828-206-4040 wolfgirl1360@aol.com Wolf Mountain Realty, Inc.
BURNSVILLE 2838 Seven Mile Ridge Road 3 BR/1/1 BA/2664SF www.rewnc.net/627526 Mary Blevins 828-675-5100 mary@dreammtnrealty.com Dream Mountain Realty, Inc.
BURNSVILLE 144 Mill Race Lane 2 BR/1/1 BA/912SF www.rewnc.net/604901 Mary Blevins 828-675-5100 mary@dreammtnrealty.com Dream Mountain Realty, Inc.
BURNSVILLE 33 Fairway Loop 3 BR/3 BA/1721SF www.rewnc.net/567687 Mary Blevins 828-675-5100 mary@dreammtnrealty.com Dream Mountain Realty, Inc.
MARS HILL 42 Buck House Road 2 BR/3 BA/2064SF www.rewnc.net/626781 Connie Carver 828-206-4040 wolfgirl1360@aol.com Wolf Mountain Realty, Inc.
BURNSVILLE 18 Brentwood Drive 3 BR/1/1 BA/1857SF www.rewnc.net/615698 Mary Blevins 828-675-5100 mary@dreammtnrealty.com Dream Mountain Realty, Inc.
MARS HILL 99 Ginseng Trail 2 BR/2 BA/1340SF www.rewnc.net/594758 Connie Carver 828-206-4040 wolfgirl1360@aol.com Wolf Mountain Realty, Inc.
MARS HILL 109 Wolf Laurel Road 1 BR/1 BA/625SF www.rewnc.net/579031 Connie Carver 828-206-4040 wolfgirl1360@aol.com Wolf Mountain Realty, Inc.
MARS HILL 2541 Wolf Laurel Road 1 BR/1 BA/625SF www.rewnc.net/699957 Dinah Carver 828-680-9777 Dddinah77@aol.com Wolf Mountain Realty, Inc.
MARS HILL 2521 Wolf Laurel Road 1 BR/1 BA/625SF www.rewnc.net/717844 Connie Carver 828-206-4040 wolfgirl1360@aol.com Wolf Mountain Realty, Inc.
Every one of these listings is connected to the Internet through links that look like this... www.rewnc.net/586444 It will take you to additional online information about that listing such as more pictures and agent contact information. Go ahead. Try it now. Seriously. experts at Private Mountain Communities help you find your perfect place.